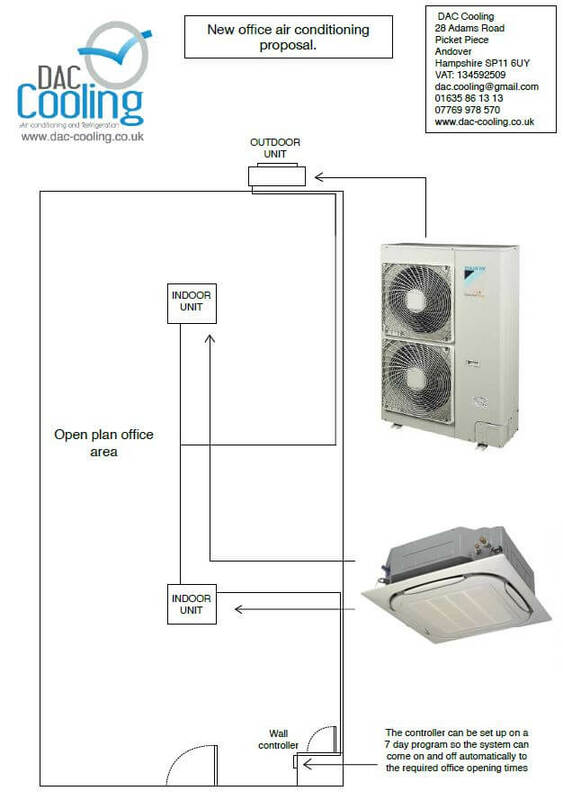 DAC Cooling was asked to provide a quotation for installing a new air conditioning system for Neida southern office. The system needed to heat and cool the new office space. The controller had to have the facility of being able to turn the system on and off automatically five days a week to the clients required times. Installation of a new Daikin twin split air conditioning system. This style of system is designed for an open plan office area and consists of one outdoor unit, feeding two indoor units. The Daikin round-flow indoor units that were selected for this project allow 360° air distribution. This helps to maintain a very consistent temperature and comfortable working environment throughout the office space. The Daikin wall controller also allows the system to be set up on a seven day programmable, which will bring the system automatically on and off to meet the client’s requirements.